This Diabetes Treatment For Type-1 Wouldn't Require Pumps Or Needles : Shots - Health News People who have Type-1 diabetes would love to be free of insulin injections and pumps. Researchers in San Francisco are now testing in animals an implantable pouch of living, insulin-releasing cells. Patients with Type-1 diabetes don't have enough healthy islets of Langerhans cells — hormone-secreting cells of the pancreas. 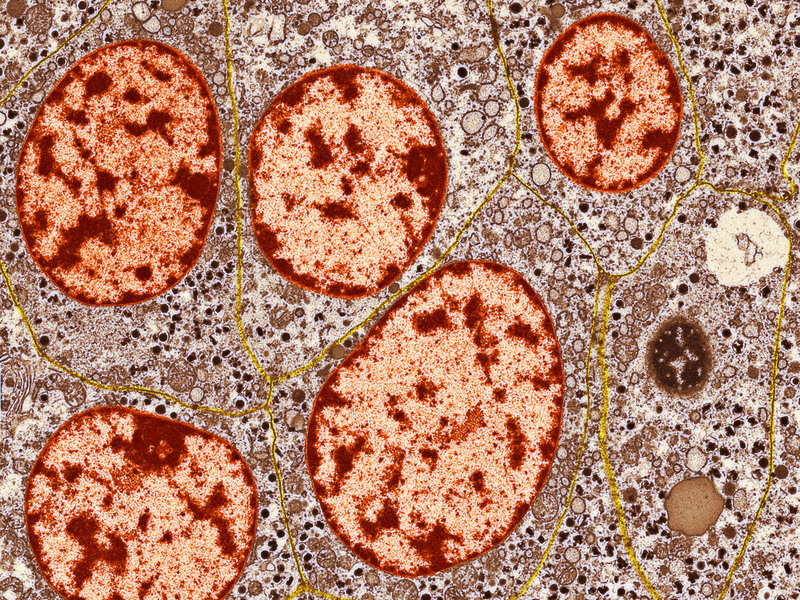 Granules inside these cells release insulin and other substances into the blood. Scientists in California think they may have found a way to transplant insulin-producing cells into diabetic patients who lack those cells — and protect the little insulin-producers from immune rejection. Their system, one of several promising approaches under development, hasn't yet been tested in people. But if it works, it could make living with diabetes much less of a burden. For now, patients with Type-1 diabetes have to regularly test their blood sugar levels, and inject themselves with insulin when it's needed. Some researchers are developing machines to automate that process. But Crystal Nyitray, founder and CEO of the biotechnology startup Encellin, in San Francisco, didn't want to use a machine to treat diabetes. As a graduate student in bioengineering at the University of California, San Francisco a few years ago, Nyitray wanted to try something different: living cells. 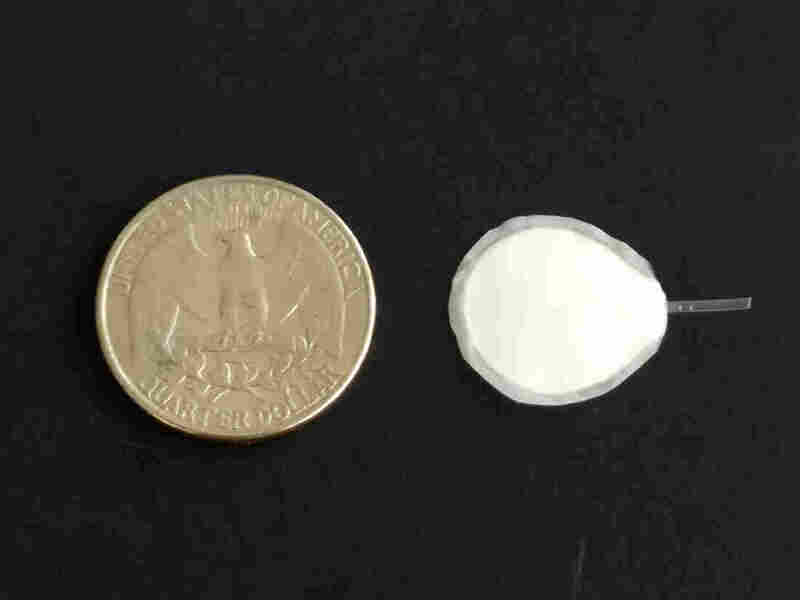 A coin-sized, semipermeable pouch is key to the proposed implant. The pouch allows cells inside to thrive and release insulin, the researchers say, while protecting the cells from immune rejection. "Cells are the ultimate smart machine," she says. Clinical trials that transplant insulin-making pancreatic cells into people with diabetes have been underway for several years, with some success. But the recipient's immune system is hard on these transplanted cells, and most patients still need insulin injections eventually. Nyitray and colleagues designed a system that would encase live islet cells from the pancreas in a flexible membrane that could be implanted under the skin. Insulin and blood sugar could pass through the membrane, but cells from the recipient's immune system would be kept out, preventing immune rejection. "I think of it like if you're sitting in a house and you have the window open with a screen," Nyitray says. "So you can feel the breeze of the air outside, and smell everything, but the bugs and the flies aren't able to get through because you have the screen in place." She took her idea for building a protective home for insulin-producing cells to Tejal Desai, a professor in bioengineering at UCSF, and Nyitray's grad school advisor. Desai has had a lot of experience with using membranes to encase cells, and she gave her younger colleague some sobering advice. "I said don't do it," recalls Desai. Desai says other researchers have tried to build synthetic homes to transplant cells into people, but there were always problems. One of the biggest problems was getting the cells to thrive in their new home. But Nyitray ignored the advice, and pursued the project anyway. Ultimately, Nyitray showed that using a flexible membrane kept the cells alive and happy by creating an environment more like the pancreas. "When she showed me the experiment — where she took islet cells in our devices, and showed that the ones in our devices actually pumped out more insulin and were alive longer — that was what convinced me," says Desai. She and Nyitray have now shown their approach works in lab animals. In fact, the results were so promising that Nyitray started her company, Encellin. "Our next big step is to demonstrate this in humans," she says. "Our hope is to put this in the clinic in the next couple of years." Of course, there are a lot of researchers trying to perfect something similar to what Nyitray has in mind. The San Diego company ViaCyte has already begun trials with its system. And other approaches use porous gels instead of membranes to protect the transplanted cells from immune rejection. So far, none of these approaches have been proved to work in patients. Is there any reason to think Nyitray will succeed where others have failed? "It's hard to predict what's going to happen," says diabetes researcher Alice Tomei, an assistant professor and director of the islet immunoengineering lab at the University of Miami. She says Nyitray's approach is rational, "but until you test in humans, it's hard to tell whether they work or not." A previous version of the top photo caption said the orange-colored objects in the pancreas were granules. They are actually cell nuclei.